The welcoming entry of Farwell House sports a sign cut in the shape of Schuyler County. The days have gone by quickly here at Farwell House, and in spending the last day here I'm intensely grateful for the gift of time and space the Plank Road Artist Residency has provided me. Yesterday we left Omaha, drove across Iowa and arrived in Frederick, a tiny burg on the Illinois River in the western part of central Illinois. 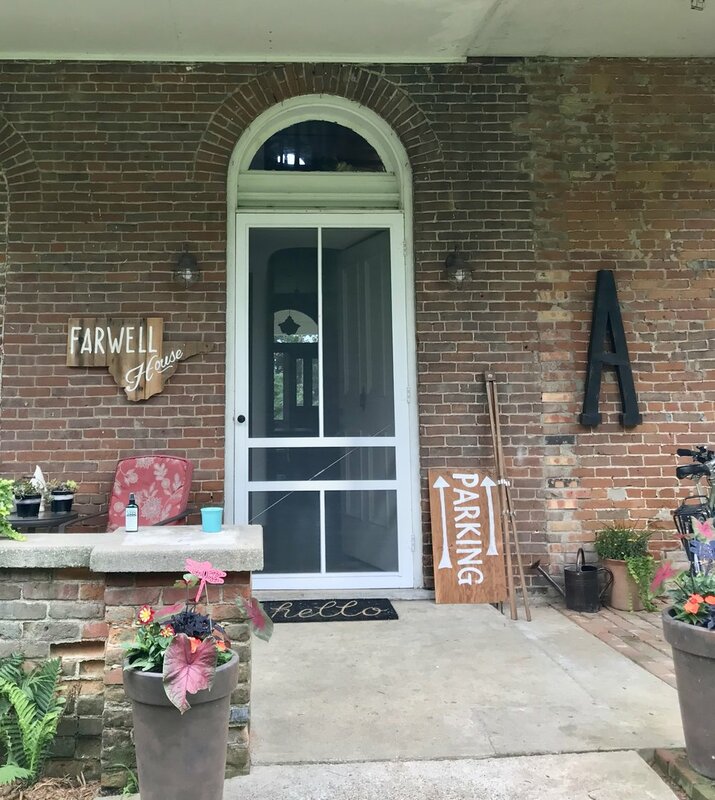 Rachel Mindrup and I are at the Farwell House for the Plank Road Artist Residency, which we were invited to do as an extension of our participation in the Midwest Artist Studios Project. Our hosts, the Ackerman family, are a delightful, generous ensemble willing to share their home with visiting artists who spend nearly two weeks with them, exploring the area, working, meeting community members and describing their work. We're looking forward to a dinner party on Friday evening, to a night market at the HUB Arts & Cultural Center in nearby Rushville, and to opening our live/work spaces and showing what we do on Sunday afternoon. I'm grateful to have this extended time to recharge and refocus. I expect to post images on Instagram and on my Facebook studio page, so check those out to see updates throughout my stay here. I hope to craft a few longer posts here, too. In an area about 5” square on a 30x30” panel, this is what I get after building up many layers and scratching through them at various phases. Along with color, texture and depth are qualities I explore in my paintings.